Jaquia Morales, 31, of Lancaster. 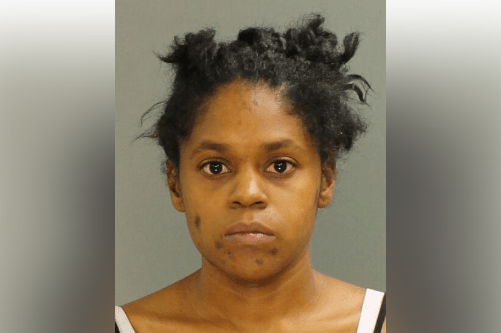 A Lancaster woman has turned herself in to authorities nearly a decade after she allegedly left her infant daughter unattended in a tub, causing injuries that left the child with permanent medical impairments, prosecutors announced Thursday. Jaquia Morales, 31, had been a wanted fugitive in Florida after prosecutors in Lancaster County filed charges against her last month. On Nov. 22, 2008, Morales allegedly left her 2-year-old daughter in the tub without supervision. The girl's lungs filled with water but she survived, police said. Now 12 years old, the girl lives with an adopted family and suffers from adult respiratory syndrome. She also sustained brain damage in the incident, according to prosecutors. Last month, a forensic pathologist submitted a report noting that the girl's injuries were caused by her near-drowning as an infant. Police said Morales wrote a letter to her daughter years after the incident. The letter ended up in the hands of the girl's brother and was then turned over to police. “I just wanted to write you and let you know what really happened to you,” the letter reads, according to investigators. “I went and stupidly smoked weed." At the time of the incident, Morales told police a different version of events and never mentioned leaving her daughter alone to allegedly go smoke marijuana. Prosecutors said the report from the forensic pathologist and the letter from Morales were enough to file charges of aggravated assault and child endangerment. Morales surrendered to authorities in Orlando on Sept. 5. She was extradited to Lancaster County and arraigned on Tuesday. She remains in custody in lieu of bail set at $250,000.